The recently concluded third Test of the three-match Test series between England Sri Lanka came into headlines for a strange incident. 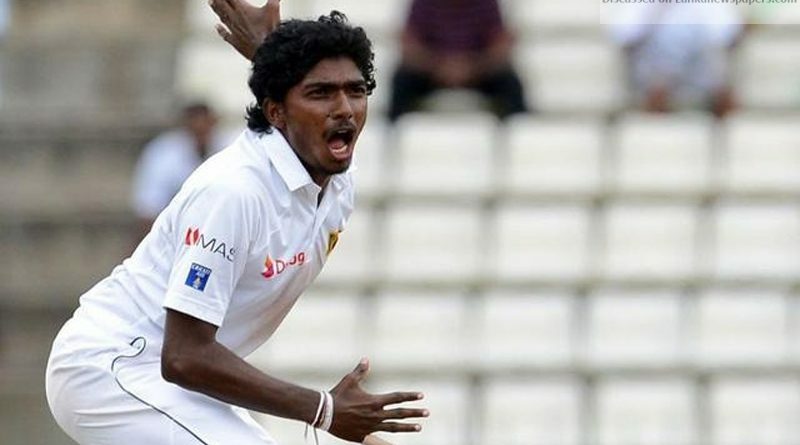 Although England managed to bag the Test in their favor after defeating the home team by 42 runs, the game was in news because of the Sri Lankan spinner Lakshan Sandakan’s spell of bowling. Sandakan bowled many no balls in this particular spell but the more surprising fact was that the on-field umpire S Ravi failed to take notice of the no-balls and allowed the balls as legitimate deliveries. It was only when Sandakan dismissed Ben Stokes twice and the decision went to the third umpire for a check on the no-ball that it was discovered that in both these deliveries, the bowler had failed to comply by the front foot rule and hence Stokes survived on both the occasions. Stokes was initially dismissed on 22 and then again on 32 but for the no balls. The umpires had to allow Stokes to resume his innings in the middle. After the entire incident bowler, Lakshan Sandakan’s bowling became a matter of intense debate and discussion across the cricketing globe. Detailed analysis was done of his bowling. According to the ESPNCricinfo stats, Sandakan’s 40% deliveries were actually “no balls” but umpire Ravi failed to take that into notice. To argue for the case of the umpire, Sandakan’s unorthodox and weird action made it extremely difficult for the umpires to keep an eye on his front foot. Had the wicket of Ben Stokes not fallen to no balls, perhaps Lakshan would have continued his no bowling spree. Sri Lankan spin coach Piyal Wijetunge seemed extremely worried about his bowler’s inability to deal with his “No Ball” problems. He suggested that it is possibly the first incident at the international level where a bowler has been so regularly bowling no balls. He also went to say that this the first time that Lakshan had been going through something like this.